To speak about detox and cleansing makes you join the hundreds of thousands of health and nutrition advocates of the modern world. But are you aware that your kidneys provide you with a round the clock detox service all throughout your life? Together with the liver, the kidney does the removal and extraction of toxins more than your cleansing juices at home. We seldom see how well our kidneys work until the time when they stop or not able to function just like they did before you consumed toxin-laden foods in some years of your existence. You do not want to reach that point, right? If that is so, discover how you can avert a worse scenario that involves your kidneys. The two bean-shaped kidneys are located on each side of the spine. With the function to filter the blood, they remove waste and toxins from your bloodstream. They, then, balance your body fluids and extract them in the form of urine. All the waste products, including excess water transforms into urine that eventually moves towards the bladder via the ureters. Why is there a need to cleanse the kidneys? Once the kidneys become problematic, they will begin to malfunction. When this happens, waste would start to build up, thereafter, causing various damages to our body system. The word “cleansing” has been a trend these days but did you know that it is not quite possible to cleanse the kidneys? If one or two of your kidneys seem to be malfunctioning, you would be aware of that. And homemade detox remedies or programs may not help but a hospital confinement or a visit to a kidney specialist. But there are several minor ailments which may impede our kidneys that lead to urinary system malfunction that are not capable of entirely shutting them down. Calcium and citrate accumulation, kidney stones, hypertension, urinary tract infections and dehydration are counted as among them. But lo and behold! There are steps to avoid these conditions and you can call it healthy habits. If you belong to the healthy category, you may use them to further your goal and help you from developing any kidney problems in the long haul. The Juniper tree bears berries that are used in making traditional remedies. Scientific evidence may be insufficient but these fruits are said to treat bladder and kidney stones and also, urinary tract infections. Juniper berries were found to contain components that reduce inflammation, increase urination, and fight bacteria. Citric acid you find in oranges, limes, lemons, and grapefruits aid in dissolving small kidney stones. Lime and lemon juices are least palatable because they are very acidic but provide the best results. Watermelon contains lots of water, and also functions as a diuretic. Aside from the many benefits it has, this wonder food increases urine and waste output. Spice ginger is the root of the ginger plant. There have been many claims that it can provide the kidneys protection from toxic damages that alcohol or chemotherapy bring. Hydrangea does not present or lack scientific evidence but it had been used by Native Americans as a folk medicine that can take care of kidney stones. Many believe that there are some substances in this natural kidney cure that can increase urine output. Uva ursi leaves are used to create traditional remedies for bladder, kidney, and other urinary tract disorders which include urethra infections, excess uric acid, inflammation of the urinary tract, and increased or painful urination. These beneficial claims lack research evidence but it is thought that this plant have the power to lessen bacteria found in the urine and owns anti-inflammatory properties. 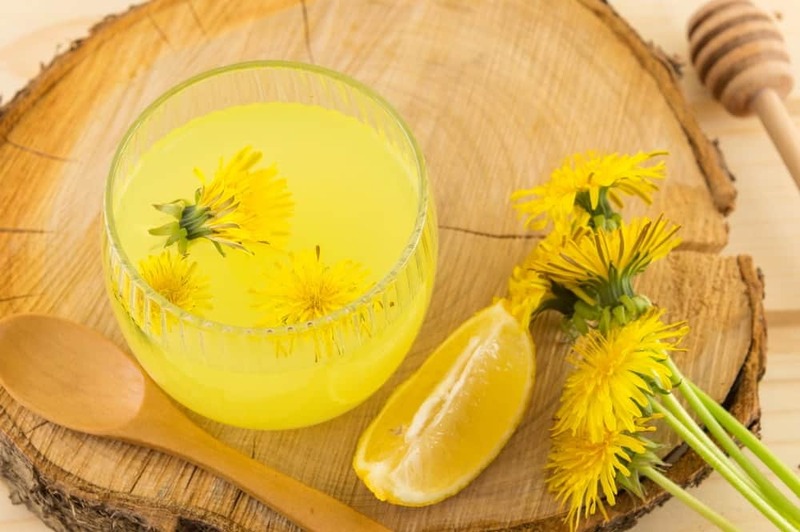 Dandelion is an herb customarily used in preventing urinary tract infection. While there are no concrete evidences for this claim, many users averred that it helped in increasing urine production and reduce inflammation. They do this by brewing tea from dried or fresh parts of this plant. Chanca Piedra, which means stone breaker in Spanish, is another herb credited to provide cure for kidney problems. It is said to have been used by South Americans for a long time now. Some research studies suggest that after undergoing a conventional shock wave therapy in order to disintegrate kidney stones, this plant helps in eliminating the stones once they fall on the lower region of the urinary tract. Golden Rod is another traditional medicine herb Native Americans used historically as a urinary system treatment. Evidence might be insufficient but it is said that this beneficial plant has anti-inflammatory properties and can be a diuretic as well. Magnesium present in pumpkin seeds could help in stabilizing blood pressure. High blood pressure causes kidney damage and it is thought that pumpkin seeds are a good alternative supplement in treating kidney infections and bladder irritation. Compounds within pumpkin seeds are said to increase urination and alleviate bladder discomfort. However, no scientific evidence can back this claim. Parsley is among the herbs used traditionally to treat kidney stones, urinary tract infections (UTIs), and can boost urine production. Besides from using it as a garnish, you can also brew it to make tea. The stinging nettle is another traditional remedy to cure urination problems. This plant’s leaf was used by ancient Greeks as a diuretic. Again, no scientific evidence can back this up but the plant is highly associated in treating urine incontinence, painful urination, nighttime urination, and other irritable bladder issues. It is touted as a cure for inflammation and may stand to increase urine output. You can do this by brewing dried or fresh nettles to make tea. If you think you have a bad kidney condition, get medical advice immediately. Do not make use of the abovementioned remedies as dietary requirements just because many have tried them or you are low on the budget. Doctors will provide you with dietary requirements for your health issues and using any of these herbs or foods may worsen the condition you are into right now. They may also stand to compromise the efficiency of prescription medicines for your current state of health. These are just good for those who have not yet entered the affected kidney stage. Although herbal remedies may have cured some individuals, it is still better to stay safe and wait for professionals to provide you with the best insight based on laboratory findings. To stay away from possible damages, you may just want to stick to drinking plenty of water as it is the basic need of our body to consume several glasses a day.